Winter Break: Get Out and Play! 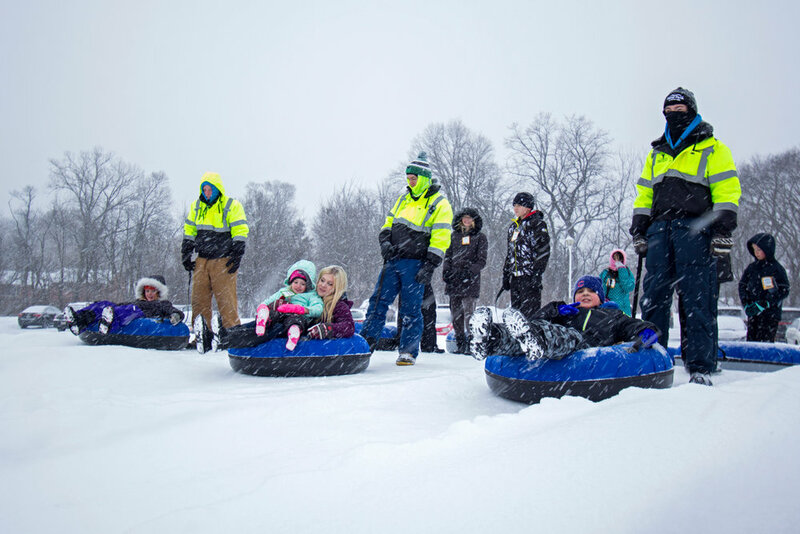 The Snow Park at Alpine Hills offers mountains of fun in the heart of the city! This 5-acre snow park is divided into separate tubing and terrain park sections designed to accommodate riders of all abilities. This camp will provide all participants with a fun recreational experience with daily skating lessons, crafts, and play! Campers will work with our experienced Jr. IceHogs staff to improve skating, stick handling, and shooting! Campers will learn the basics of snowboarding, cross country skiing, and snowshoeing, and will also assess their winter survival skills, watch snowboard demonstrations, and go snow tubing. Rockford Park District's Carlson Ice Arena invites everyone to enjoy indoor ice skating with family or friends while gaining the benefits of fun recreation and exercise. Stay active with healthy exercise by walking laps, or playing basketball, pickleball, or volleyball in climate controlled comfort at Rockford Park District’s UW Health Sports Factory.